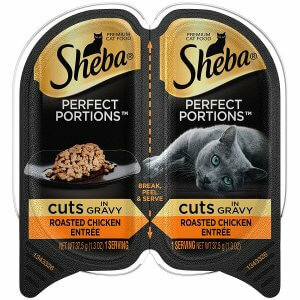 Home » Sheba Cat Food Review 2018 – Ingredients, Manufacturing & Main Benefits! Sheba Cat Food Review 2018 – Ingredients, Manufacturing & Main Benefits! 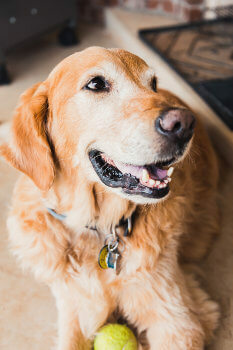 Sheba is a well known brand produced by Mars Petcare US, a subsidiary of Mars Incorporated. The brand had been pulled out of the market in January 2011, due to economic circumstances, but was reinstated in July 2012. As it made it’s return, it abandoned the plastic tray packaging and came only in pull-tab cans. However, mid-way through 2014, it began featuring the plastic trays once again in its “Perfect Portion” line. This move was directed at addressing the challenge of evenly separating the two servings contained in the cans. Thus the Perfect Portion line is slightly more expensive than the canned products. 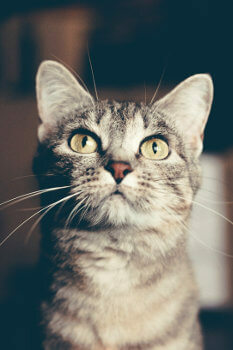 Other well-known brands produced by Mars Petcare include Whiskas for cats, Pedigree for dogs and Cesar Canine Cuisine. The company headquarters are in Franklin, TN and has over 15 manufacturing facilities spread all over the US. Overall, the brand is very popular in the cat food industry. This is evident in the many positive reviews of the brand on Sheba’s official site and other unbiased sites. It is currently divided into three primary production lines: Perfect Portions Premium Pates, Premium Cuts in Gravy and Premium Pates in Natural Juice, but it also features an assortment of different product in it’s Variety Packs. Perfect Portions Premium Pates consists of eight variant entrées – chicken, chicken and tuna, chicken and liver, beef, turkey, whitefish and tuna, salmon and sea food. Premium Cuts in Gravy comes in nine variant entrees: chicken, chicken and liver, chicken and tuna, turkey, beef, beef, salmon, cod and shrimp, and whitefish and tuna. Featured in the Premium Pates in Natural Juice production line are five entrees: chicken, turkey, mixed grill, tuna, and salmon. Not one of these products are made with grains or corn. The brand has no records of food recalls on the FDA (Food and Drug Administration) database or online. All of it’s products have garnered parallel reviews so none of them stands out notably. Below is a overview of three products from the three main production lines. The manufacturers claim this entree lacks none of the nutrients needed for a cat’s wholesome well being. The ingredients in this product bring immense health benefits to cats at all life-stages, as they meet all the nutritional requirement of the AAFCO Cat Food Nutrient profiles. Being a great source of animal protein and a number of other essential nutrients, beef is a high grade ingredient. However, since a greater part of this ingredient is made up of moisture, much of it evaporates when fully cooked. The percentage of protein ultimately supplied by the ingredient is therefore minimal, but it still counts toward the great nutritional value present in this product. It is a well-known fact that in substantial qualities, liver intake can prove toxic to cats. But cat owner need not be weary of this ingredient, as only a moderate quantity –enough to cater for the cat’s nutritional needs– is contained in the product. Meat Broth: Although it is not as nutritionally beneficial as water – it’s alternative, the flavor imbued in its moisture makes it the better option. Unfortunately, the source of the meat is undisclosed, and our guesses are only as good as anybody else’s. This ingredient is obtained from clean, grounded parts of poultry carcasses including bones and beakers. They usually do not contain the meaty poultry parts. But such parts are generally a delight for cats, and are also rich in animal protein. Meat byproducts: This one is of the low quality ranks. It is made from slaughtered or dead animal parts including kidneys, lungs and brains. 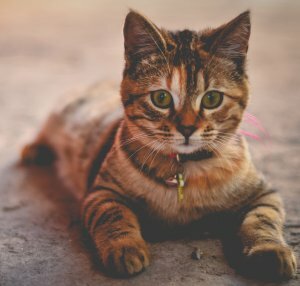 The legal status of the practice of recycling parts from dead animals has raised heated debates, but most cat foods producers really don’t mind any such disapproval of the act. All in all, there is no doubt about the impressive nutritional value presented in Sheba foods. They’re are free of artificial preservatives, although added color and food binders are regularly featured to the objection of some. But their complete preclusion of grains and corns from their ingredients list has gotten nods from many-a-buyer. The shady character of their meat by-products has been overlooked by most, though some cat-owners who’s cats have special health needs may completely avoid any products with such ingredients. If you’re one of those then your budget for cat food should aim for the products on the high-end of the scale.